What is the Relationship Recovery Programme? 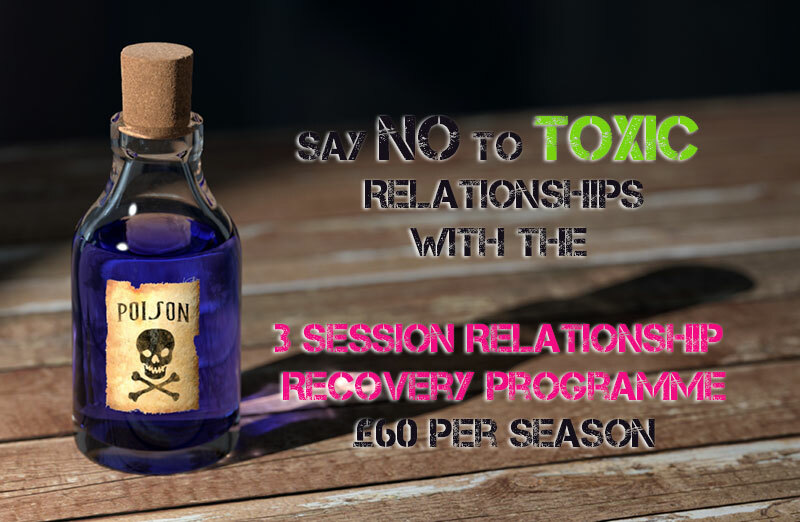 It’s a 3 Session programme for leaving a relationship behind. We’ve all been there: the breakdown of a relationship, arguments with colleagues and friends, family or marriage problems. When it’s time to leave these hurtful relationships behind the 3 session Relationship Recovery Programme helps you to do that. This program supports you in getting over a toxic partner or toxic relationship. Whether it’s a boss, family member, partner or anyone else who has left their mark on you. Leave those damaging emotions behind, feel lighter and be “you again”. It’s £60 per season for the Relationship Recovery Programme. If you are interested in finding out more, please contact me.